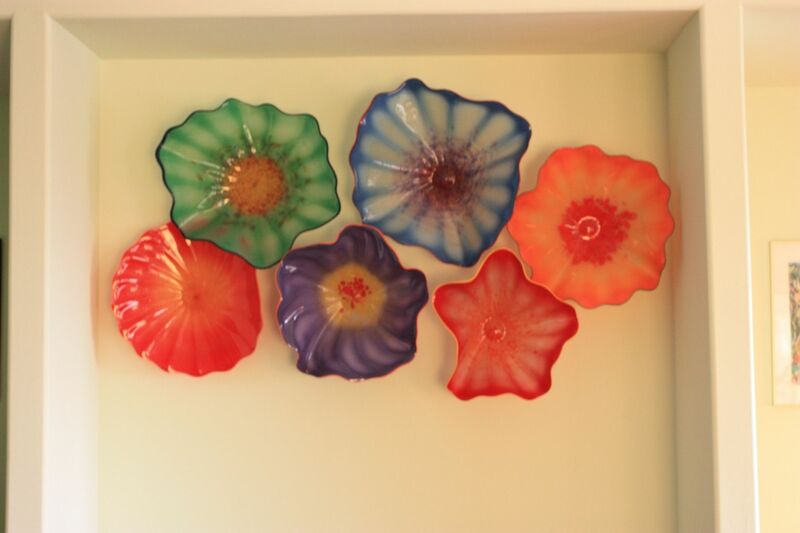 Custom fluted blown glass platters in colors to match decor and fit to specialized alcove. This sculpture, the platters are approximately 25" diameter x 14" high. Each platter is attached with customized metal wall bracket. Shipping is not included in approximate cost.